For survivors of domestic and sexual violence, telling their story once is hard enough. Having to repeat their story multiple times in an attempt to find help can seem entirely overwhelming. With the generous donation of $50,000 from the Jenkins Foundation, the YWCA of Richmond has created a solution for those in the Richmond area: The Greater Richmond Regional Hotline, coined “One Call, One Community.” The hotline, according to the executive directors, is the newest program to emerge from the Richmond Collaborative, a group of five domestic and sexual violence service providers including the YWCA of Richmond, Hanover Safe Place, Safe Harbor, The James House, and Project Hope at Quin Rivers. “The Jenkins Foundation strives to foster collaboration and partnership among nonprofit partners, and the Regional Hotline is a wonderful example of nonprofits pulling together to work towards the common goal of serving people in need,” says Bobbie Ukrop, Chair of the Jenkins Foundation Board. One Call, One Community is working to change all of that. The new model provides local, centralized staffing and each caller is connected immediately upon the first call with a knowledgeable resource to explain options and conduct safety assessments. The YWCA of Richmond, as the fiscal agent for the Jenkins grant, manages the hotline with a combination of paid and volunteer specialists, all of whom are cross-trained on the resources available across the region. “We are overjoyed by the Jenkins Foundation's investment in this program. Funding from Jenkins helps not only staffing, but with technology and marketing the new hotline number. We now have one number anyone in the area can use.” Due to the generosity from the Jenkins Foundation, several other funding partners from around the community have lent their own support, notably the Pauley Family Foundation, which matched the Jenkins grant of $50,000. 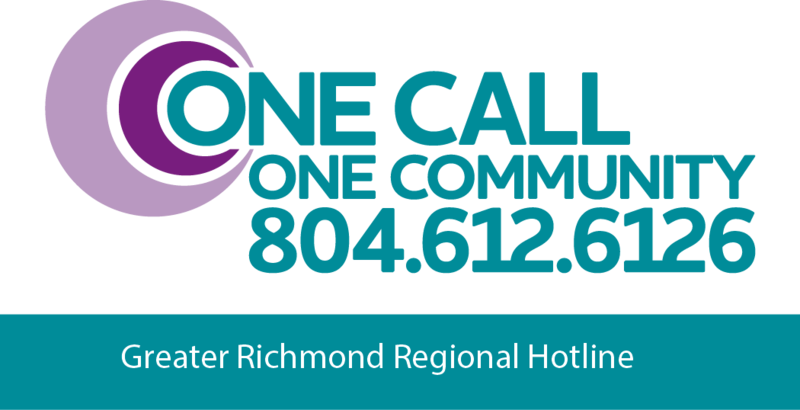 The Greater Richmond Regional Hotline is now available via one, easy to remember number, 804-612-6126 and serves survivors and their loved ones who need support navigating domestic, intimate partner, family, and/or sexual violence in Richmond, Chesterfield, Hanover, Henrico, Powhatan, Goochland, the Ti-Cities, King William, King and Queen, New Kent, and Charles City. If you believe you or a loved one has experienced domestic, intimate partner, or sexual violence, please call the Greater Richmond Regional Hotline. All calls are confidential.